Mission: The principal objective of Tango Fantástico is to promote the art and culture of Argentine Tango. "It is wonderful to see the Maestro at work… there is SO MUCH to learn!" - Sharon W.
"Jorge stated he's been dancing for 38 years; I don't have that long to learn!! He's so wonderful to watch as he glides across the floor! - how long will it take me to become only half that good???" - Jean S.
"It was by far the best workshop I've attended!" - Shekhar P.
"Jorge is the teacher that I use things from his group classes. I consistently use his ideas and incorporate what he teaches. Thank you for organizing things with him. He's a real treasure!" - Bob L.
“What a wonderful experience my lesson was. 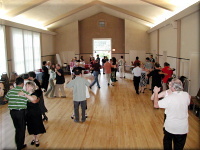 It was a combination of gentle life philosophy, relaxation, massage, mind and spirit balance and, oh yes, tango. I arrived from work, uptight and stressed, and I arrived back at work in the most peaceful state I have been in for a very long time. What a trip!” - Su M.
"Jorge hones in on the details so that you can see exactly where you need to be and where your weight should be…" - Sharon W.
"I never knew four steps could be such a challenge!" - Wes Y. "Every class is “Simple but Difficult!”!!" - Albert B. 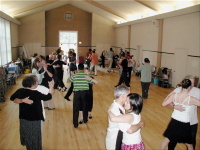 "To learn so much in two hours that not only reinforced the training I have already received but introduced more of the reasons that strengthen my desire to be an Argentine tango dancer…" - Jean S.
"Jorge is the very best teacher and wonderful person, and I don't know words good enough for his dancing. I'm looking forward to more opportunities to attend his classes and workshops. Sue, thanks a lot for organizing Jorge's visits to Bay Area, you give us all a wonderful chance to learn." - Natalia R.
"Sue, thank you for all your hard work in making these workshops happen with Jorge. Jenny and I know these opportunities just don't magically materialize. We both think these classes were the best yet, and we look forward to the next time he's here." - Bob L. & Jenny A. "Sue, thank you so much for your unending energy to make it possible for so many to work with Jorge. I completely enjoyed him as always and when he is around will do some more in the future. I loved my private class with him and will do this again in a heart beat. The show was fantastic, the music completely over the top and what shape they all are in!" - Lizbeth H.